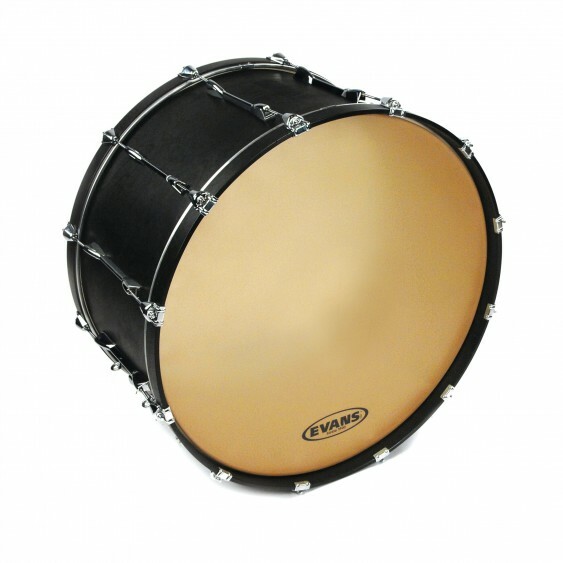 With the appearance of calf-skin, the 14mil single-ply Strata 1400 delivers a warm and deep tone with extra punch and projection, but without the papery sound quality of other synthetic concert bass heads. 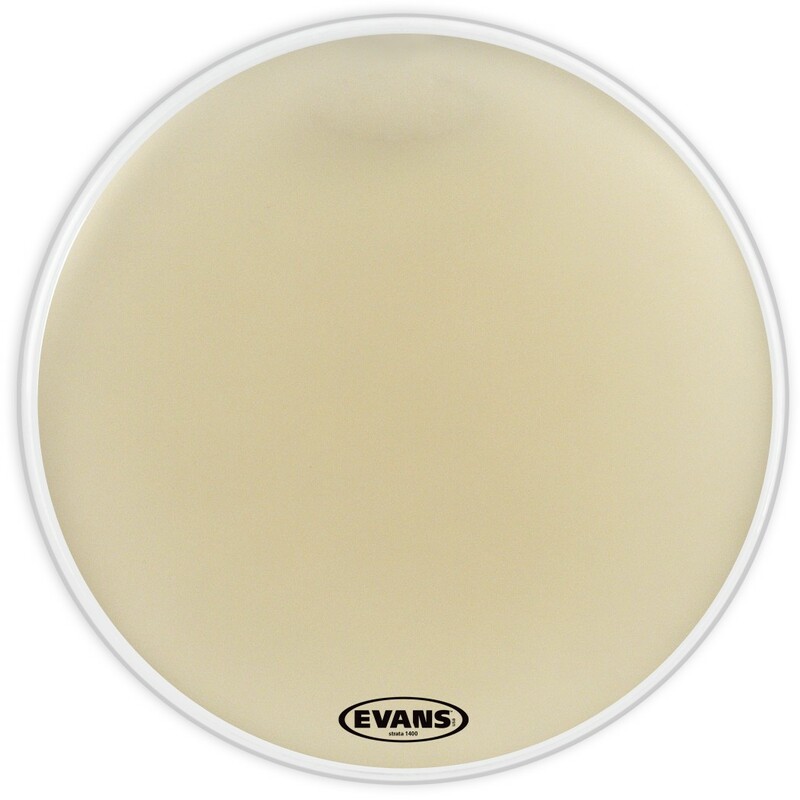 With the appearance of calf-skin, the 14mil single-ply Strata 1400 delivers a warm and deep tone with extra punch and projection, but without the papery sound quality of other synthetic concert bass heads. 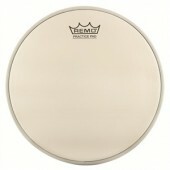 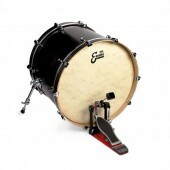 It delivers a full-bodied sustain, and a powerful attack that will cut through even a drum corps ensemble.